An actor who has been in movies, been on television, and been on Broadway, will star in a production in Salina this summer. According to the Salina Community Theatre, Tyrees Allen will return to star in a production of David Mamet’s “A Life in the Theatre” for six performances in July. 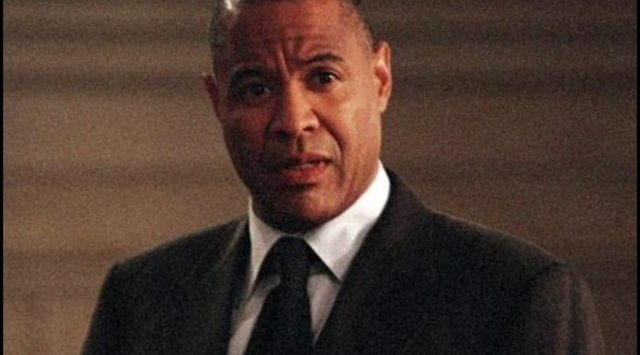 Allen has been a featured actor on Broadway (Aida), in movies (Robocop, 12 Angry Men), and in television (Women’s Murder Club, Scandal) for more than 30 years. Allen has appeared on stage at SCT in such productions as “Driving Miss Daisy”, “A Raisin in the Sun”, and “Othello”. Allen was born in Salina. He graduated from Salina Central High School, and then from Marymount College with a degree in Theater Arts. Also performing in the Salina production this summer will be Bob Wearing, recent graduate of the University of Central Missouri. Wearing recently appeared in the Musical Theatre Heritage production of “Bernstein’s Broadway” in Kansas City. “A Life in the Theatre” takes the audience into the lives of two actors: John, young and rising into the first flush of his success, and Robert, older, anxious, and beginning to wane. “A Life in the Theatre” will show July 18-20 and 25-27 in the Sunflower Financial Theatre at SCT. Tickets go on sale May 5, and all seating is reserved. For reservations, call 785-827-3033, go to the SCT Facebook page, or visit salinatheatre.com.